It has been the fruition of a long battle with the state itself, which posed impediments for 23 officers of the Karnataka State Police Service, who finally got promoted to Indian Police Service. 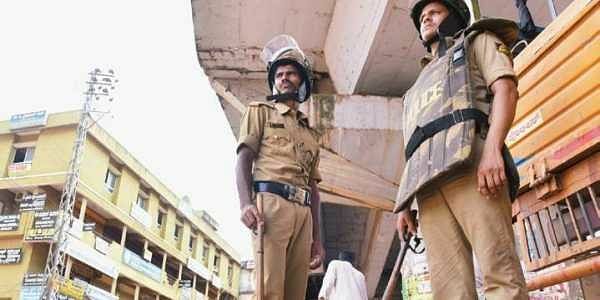 BENGALURU: It has been the fruition of a long battle with the state itself, which posed impediments for 23 officers of the Karnataka State Police Service (KSPS), who finally got promoted to Indian Police Service (IPS). A notification was issued on Friday by the Ministry of Home Affairs appointing 23 members including six women to IPS, while giving provisional appointment to three more officers. Three more officers have been given provisional clearance.This is the first in time in the history of the state that such a large number of officers have been promoted to IPS. Out of 215 IPS posts in the state, 65 are designated for officers who are promoted to IPS from KSPS cadre. As of now, there are 36 vacancies among the 65 posts. These vacancies have accrued over 20 years as there have been very few promotions to IPS rank. Three vacancies were filled earlier in May with the appointment of Seema Mishrikoti, Renuka K Sukumar and Sangeetha G (for the year 2014) who were part of the list of officers promoted to IPS. The 29 officers, who are direct DySP recruits were eligible for promotion since January 2015, but the procrastination of the state government in finalising the list to be sent to Union Public Service Commission (UPSC) caused the delay. Out of the 26 officers, three officers Madhura Veena M L , Jagadish K V and Devaraju K G have been given provisional clearance subject to clearance in the disciplinary proceedings pending against them. Trouble began when the government added seven people to the list from Karnataka State Reserve Police (KSRP) to the promotion list, after declaring the post of KSRP assistant commandant as equivalent to civil police officers for promotion to IPS rank. This was challenged in court immediately. The UPSC kept reminding the state to send the list and even the Central Administrative Tribunal (CAT) asked them to send the list, but the stalemate continued. When the list including the KSRP members was sent, it was returned by the UPSC. According to a source, a lack of clarity about procedures was what delayed the process. Finally the Law Department advised the government to drop the idea of including the KSRP men in the present list as the equivalency order was issued in January 2016, while the 29 waiting officers were supposed to be promoted for the years 2014 and 2015. They advised the government to add the seven to the list for the selection year 2016. Joshi Srinath Mahadev, Vedamurthy C B, Shantharaju K M, Hanumantharaya, Devaraja D, Siri Gowri D R, Dr Dharani Devi K, Savitha S, C K Baba, Abdul Ahad, Girish S, Puttamadaiah M, Sreedhara T, Ashwini M, Prakash Gowda, Jinendra Khanagavi, Rashmi J K, Shivakumar T P, Vishnuvardhana, Sanjeev M Patil, Parashurama K, Ananda Kumar H D and Kala Krishnamurthy.